For the 7th weekly meeting, the designers at HFM held an open house for fellow design students and faculty to observe the formula fabrication work in progress. During this engagement, HFM faculty and students answered questions, gave demonstrations on the current process, and discussed the design with regards to form development. 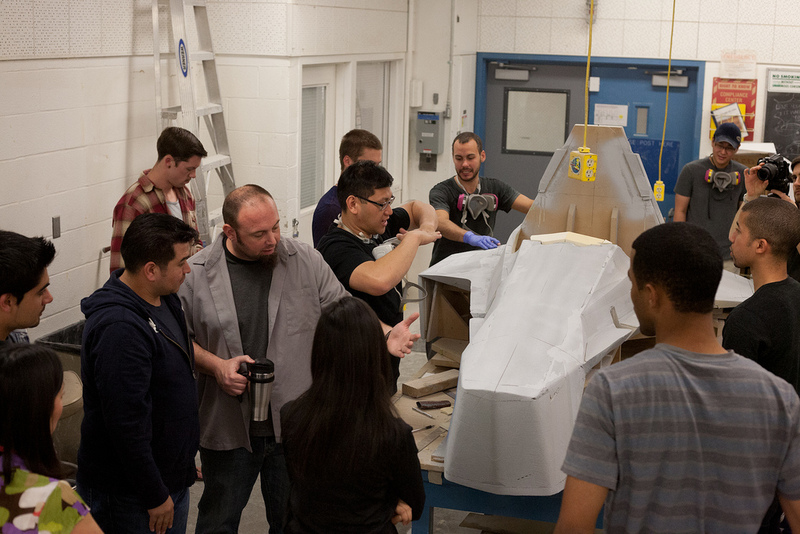 After the open house, representatives from GKDI arrived to the upper division workshop in order to evaluate the progress of both the formula mold and the baja fabrication process. HFM Faculty instructor Max Beach discussing the primed mold in progress to various design students while enjoying his morning cup of coffee. 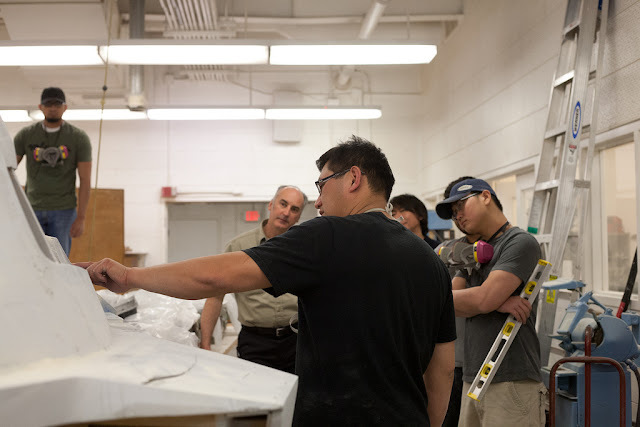 Armando Tongko (above center) discussing details in the formula fiberglass mold. 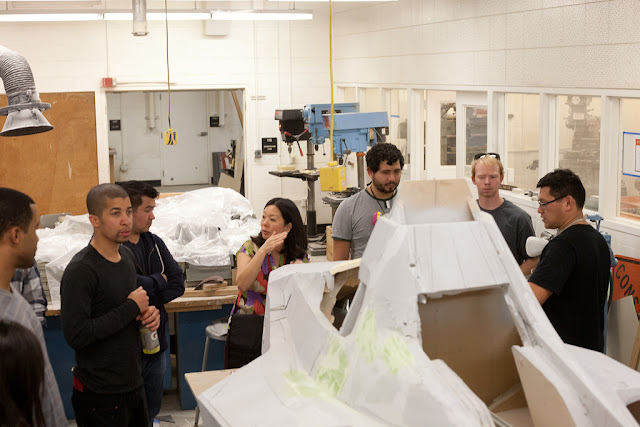 Design Representatives observing the formula fabrication process during the week 7 round-up.